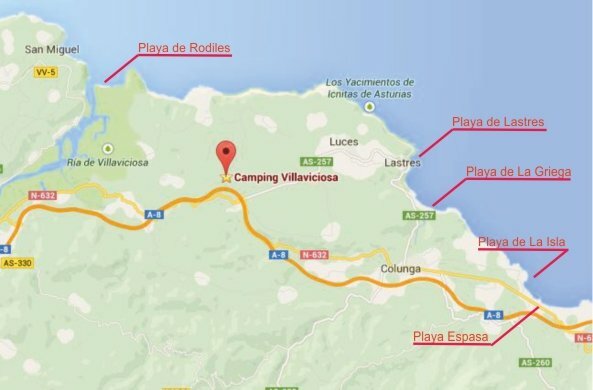 Surroundings and activities | Camping Villaviciosa Asturias. Bungalows cerca Playa Rodiles. Admitimos mascotas. 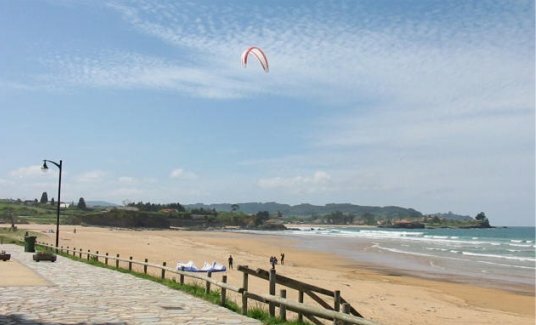 Camping Villaviciosa is nestled in the center of the dinosaurs coast which is the name given to the coastal strip between the towns of Gijón and Ribadesella. Along this stretch nine dinosaur footprint sites can be visited, located in the townships of Villaviciosa, Colunga and Ribadesella. Walking through deep woods, on the paths of the river Profundu, you can discover more than twenty old water mills. From Tazones to Oles, you will soak up energy given off by places along this route. 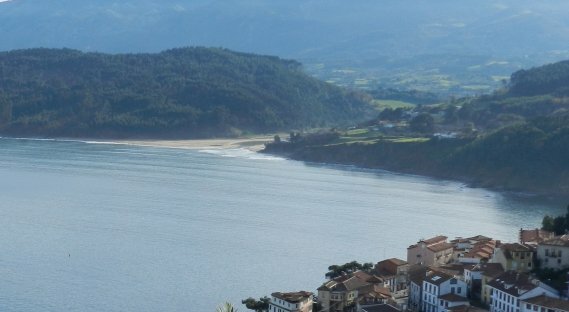 With The Cantabrian Sea as a companion, this is a spectacular route through the Villaviciosinas Mariñes. Through wooded areas, through small villages, we arrive at Peña Cabrera recreation area where you can enjoy from the lookout point, the stunning views of the valley of Villaviciosa, La Sierra del Sueve and the mythical Picos de Europa. Route of average difficulty, takes about 4 hours. The site of one of the largest dinosaur footprints in the world. Situated on the cliffs of Luces, you can see many footprints of these great reptiles. 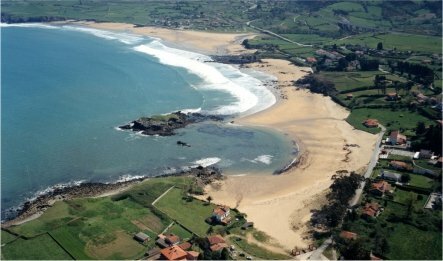 Located in a privileged setting on the Asturiana coast, they constitute an extraordinary lookout point open to the Cantabrian Sea. For hiking enthusiasts, this route takes us from Colunga to Picu The Cotariella. Short walk to a lookout over the port of Lastres, where you can see the ancient ruins of the defense fort, known as El Castillo. This mountain range consists of the National Park Picos de Europa which is the second most visited of Spain, after the National Park Teide (Tenerife). link to the Picos de Europa National Park. Protected area close to the sea, has among its flora, beech, holly or yew. Between cliffs and forests live wild boars, deer, or vultures, not forgetting the famous asturcones. link to the Tourism Asturias, Sierra del Sueve. With a height of 1,197 meters thanks to the peak Trigueiro, it is a spectacular lookout point. 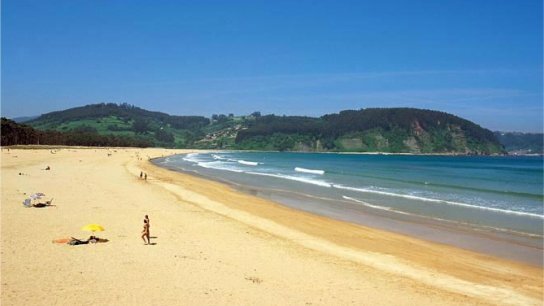 link to the Tourism Asturias Cider Region and Sierra del Sueve.